You often hear point guard is the toughest position to develop in the NBA, do you agree with that? Bowe: I believe it’s a tie between point guard and big. They’re the two positions that have the steepest learning curves from college to the NBA, due to how different those positions are taught and used from the college level to the NBA. Think about the wildly different structures and offenses in college ball, from the super conservative coaches that call every play, to the ones that still rely heavily on post-ups and high-low action and to the ones that sort of just let their talent run wild since they’re churning out first round picks every summer. Going from that to an NBA team is tough and learning the nuances of a pick and roll for the first time can really take a toll on a young point guard. It’s why we see so many late bloomers at the position, from Kemba Walker, Kyle Lowry and Mike Conley. Those guys weren’t sure things in their rookie years and it usually takes till a point guard is 25 before they start to reach their peak. Gibson: Yes. There’s a clear difference between players that are ballhandlers and ones who just happen to play the position. We’ve seen before that there are players that can lay down assists to fill the box score and ones that actually set up their teammates for success. While he wasn’t the point guard per se, in Lance Stephenson’s first run with the Pacers, he often has hunted for plays where someone could get him and assist instead of looking for the best pass to make. It’s a subtle difference, but if you’re passing up a hockey assist for a true assist, you aren’t doing the job of the ballhandler. But getting back to the focus on point guards, there are plenty of players that occupy that position but simply aren’t high-level facilitators that make their teammates better. Whether it’s learning to read pick and rolls correctly or simply knowing how to manage all the personalities that need the ball, the role of the point guard is the most complex. Goldberg: It might be the most important position, but it hasn’t seemed to be all too hard to find and develop good players in recent years. We seem to be in a golden age of quality point guards, with at least a dozen guys capable of carrying a team on a given night. Average point guards like Ricky Rubio or Goran Dragic are underappreciated, while even Mike Conley has never reached an All-Star Game. Even if there are upgrades available, only a handful of teams will really be going into the offseason in need of a point guard. There seem to be a lot more misses when finding and developing big men in this League. Nygaard: No, but I do think it’s a position we’re often guilty of being impatient with. And I mean, that’s kind of understandable when you consider that over the past 10 seasons, a whopping 20 different players have been an All-NBA selection within their first four NBA seasons. For most, though, it’s a process. At 23, Mike Conley’s contract was panned. Kyle Lowry was Aaron Brooks’ understudy in Houston. 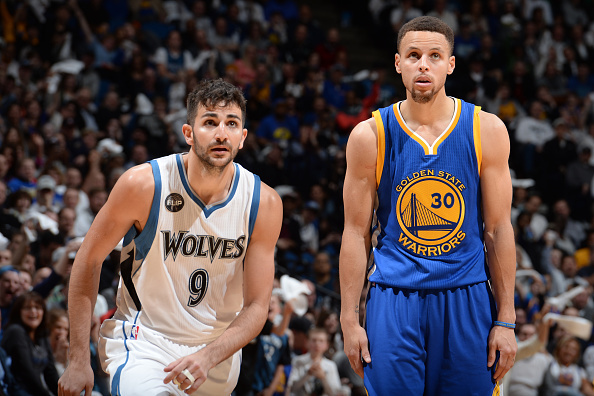 Steph Curry was Spencer Dinwiddie’s age when he made his first All-Star appearance. Think about what’s asked of a young point guard, though. With few exceptions, most are expected to either be a primary or secondary initiator of their team’s offense. How many jobs do you show up to as an entry-level employee and immediately take over as manager? That said, while I think point guards face a steeper learning curve than perhaps any other position in the NBA, I would say the toughest position to develop is center. Supernovae aside, bigs notoriously need plenty of seasoning. On top of that, though, I think the position as a whole is especially sensitive to league-wide shifts in style. Five years ago, the All-NBA selections at center were Joakim Noah, Dwight Howard and Al Jefferson, while Noah edged out Roy Hibbert for Defensive Player of the Year. It’s no longer just a matter of developing your young big into the best player they can be; you better hope those skills are still meaningful by the time they hit their prime. Related: If point guard development takes time, it makes this saga with Dennis Smith Jr. and the Dallas Mavericks even more befuddling. 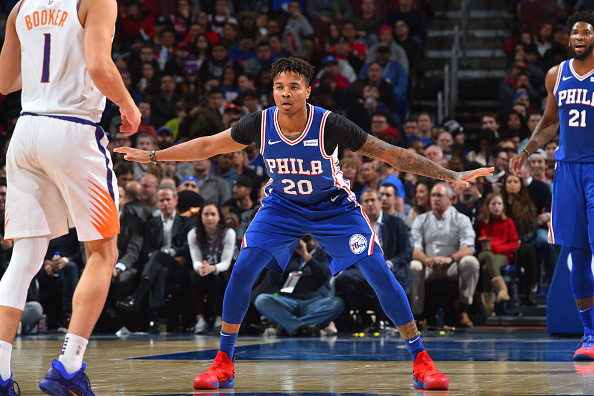 Smith, a second-year PG, has yet to even have a full healthy season, but is now on the trading block. Where are you on Smith and and that situation? Gibson: I side with the players more often than not, but at the same time, you have to build up equity to act certain ways. I don’t think Smith has that sort of leverage, but it also seems like the Dallas Mavericks did little to soften the situation for Smith. Players have feelings and the Mavericks did little to either cover their own tracks. While Smith probably should have just shut up and played, I don’t blame him for not being thrilled by the situation either. It’s weird. The Mavericks aren’t contending right now but they are rushing Smith out the door and letting him tank his value when they have little to play for. Goldberg: This has been a strange story and I don’t know if we will ever get the full truth. The only thing that makes sense is Smith had some fight with Rick Carlisle and now he is returning after talking things out. As long as they can coexist and there’s no beef with Luka Doncic, the Mavericks shouldn’t even consider trading him away. I’m a firm believer in Smith and his talents, and I think he could be a key player for a contending team, whether that is in Dallas or somewhere else in the future. Maybe Smith should talk with a veteran on the team, maybe one who is a future Hall of Famer and has been with the organization for over two decades. Nygaard: Without knowing all the details, it’s hard to really weigh in. But connecting the dots a little, I think you’ve got a young, talented player who isn’t in a playing situation that aligns with his best interests nor the team’s so he’s rocking the boat to force the organization’s hand because his camp knows that without a reason to blow it up, Dallas will keep trying to make this tandem work until it’s clear beyond a shadow of a doubt their twin investments simply can’t coexist. Unless Smith Jr. is going to supplant Doncic as franchise centerpiece, his best bet may be to fast-forward to the part where he gets a change of scenery and a chance to play in an environment better tailored to his skillset. I’m still relatively bullish on him, though his assist numbers—even without Doncic—are lower than I’d like. Sometimes, a situation is just a poor fit for both sides. Swapping him out with, say, one of Orlando’s young bigs could be a case where everyone involved improves their situation and things just sort of fall into place. But I’m not sure we’d be having that conversation without the waves having been made. Bowe: Well, if you read our site and listen to our podcast, you know that I’m obviously in favor of keeping Dennis Smith Jr. around. I think to start off, I want to make it clear that I think Smith’s decision to leave the team and miss games was very dumb and his agent and camp should have known better. That being said, Smith is only 21 and was still under 100 career games played entering Tuesday night’s game against the Clippers. Smith and Doncic’s time together has been even less than that. Then add in the fact that Smith missed a year of high school due to injury, played on a crappy college team and had a wildly different situation in his rookie season compared to what he’s dealing with now. Smith is still raw as hell and while there’s no guarantee he’ll be good, it’s still far too early to suggest he’s a bust. Smith very well could end up being a crappy NBA player and teams have always held onto lottery picks longer than they needed to, but this is too extreme. The Mavericks aren’t going anywhere yet, despite Doncic’s arrival, and they need as many blue-chip young talents as possible. 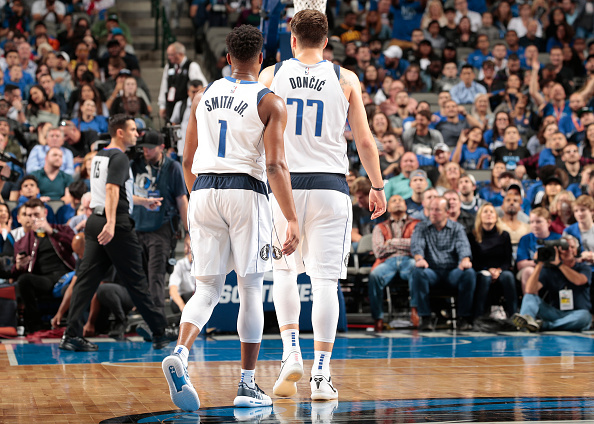 With bungled drafts before Smith and no first round pick this summer, Doncic and Smith are realistically the only two young, big talent players the Mavericks can expect to have to develop for the foreseeable future. Dallas isn’t a playoff team, they’re still rebuilding. Going from point A to point Z over the course of three seasons seems incredibly drastic and risks the Mavs of falling into a trap like the New Orleans Pelicans have: Being not good enough to be a consistent playoff threat and risk losing a franchise altering talent by locking yourself in to mediocrity before the team is truly ready to make the leap. This doesn’t even mention the doubts this casts on Rick Carlisle’s ability to handle young players, with the Mavericks having a long history of alienating young players since he’s been in Dallas. The Mavericks need to face reality, even if it isn’t a perfect fit with Smith. 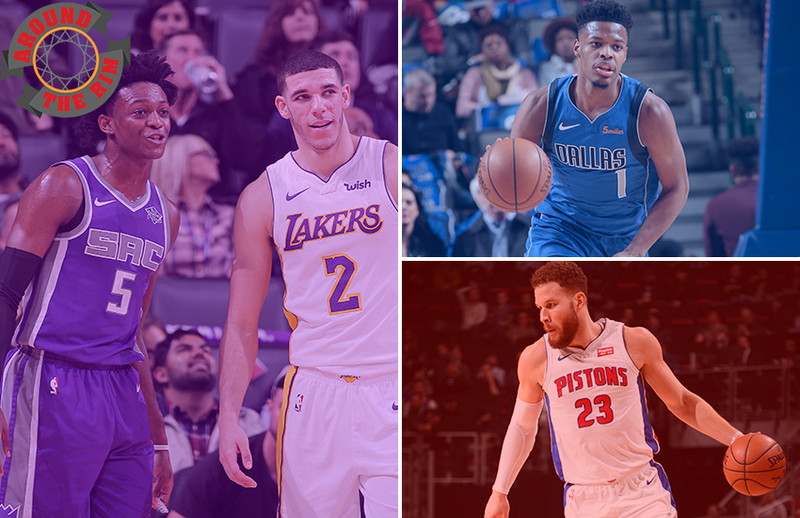 Looking around at the 2017 draft class, DSJ is hardly the only rookie point guard struggling. Lonzo Ball, Markelle Fultz and Frank Ntilikina are all struggling to find their way in the League. De’Aaron Fox is the only player exceeding expectations at his position thus far. Looking at all the guards mentioned, who do you have the most faith in going forward? 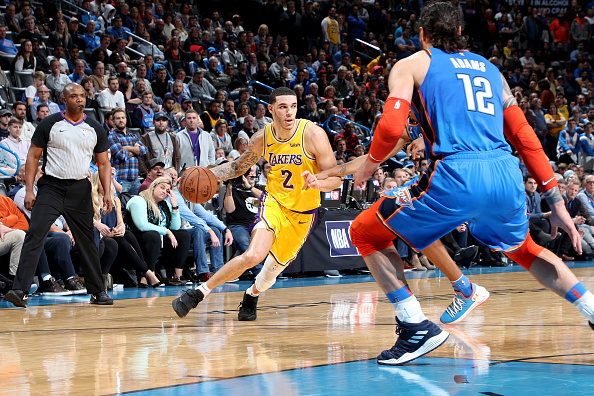 Goldberg: I’m not ready to give up on any of those guys, but I’d pick Lonzo Ball out of those not named De’Aaron Fox.His shooting is still a concern and the Lakers have been miserable without LeBron, but he brings more things to the table than any of the other guards listed. He plays good defense, rebounds well for the position and remains an excellent passer. If he can improve his decision-making and pick his shots better, Ball can be everything the Lakers expected him to be. Nygaard: For me, it would be between Smith and Ball, with probably an edge to Ball because he’s having a more positive impact already. Ball’s free-throw rate continues to be troublingly low, which makes me worry about how much pressure he’ll be able to put on defenses. At the end of the day, though, he’s proven himself capable of having a positive impact on his team, warts and all, and his hallmark skills are special enough that his scoring skills probably have a lower bar they need to reach in order to really open things up for him. Your guess is mine with Fultz. The talent is there, and I wouldn’t mind taking a shot on him in the right environment, but he’s just a mystery box at this point. Ntilikina I like, as long as we agree on what he is: a third or fourth option with super length and switchability. His percentages are bad but far from unsalvageable, and I think his shot profile suggests a willingness to fire that will serve him well if they ever start going down more consistently. He needs to get his turnovers down, but scaling back his role, surrounding him with better players and giving him more experience should get him to where he needs to be. I don’t really consider Monk a point guard, but I’ll be happy to buy up some stock once it bottoms out. I think he’s a player, just not necessarily the one people wanted him to be. Bowe: I might sound crazy, but I’m going to go with Fultz. I was never sold on Ball, because I never thought his jumper would translate to the next level. If he can ever shoot 37-40 percent from three, Ball could be an extremely valuable player by imitating late-career Jason Kidd as an “off-ball” point guard that spots up next to a penetrating ballhandler. But considering that Ball can barely keep his free throw percentage above 40, never mind his three-point numbers, I doubt this happens. 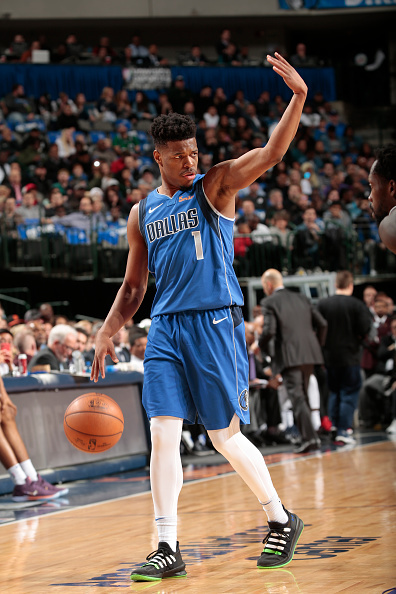 I still believe in Smith for the Mavericks, I understand the real concerns about his decision making and ability to finish near the rim. I’m also spooked about Smith’s measurable and wonder if his tiny wingspan will prevent him from every being a threat in the paint. Fultz might never be right, whether it’s physically or mentally, but he was so damn good in college at stuff that should have translated directly to the NBA. His big if of fixing his form so he can get back to shooting jumpers normally is as big as the other ifs around these other guards, but I just have a hunch Fultz’s talent will eventually win over. Gibson: It’s a toss-up between De’Aaron Fox and Lonzo Ball for me. It’s a class of point guards with obvious drawbacks. I lean slightly towards Fox because he’s arguably doing more with less than Ball in Los Angeles. Fox displays the most tools the most often. All of them could stand to increase their assist-to-turnover rate, but Fox does slightly, ever so slightly, edge out Ball there as well. Ait’s low-hanging fruit, but when a player can’t shoot, that seems like a huge liability when winning-time comes. Ball does a lot to make up for this, but Fox’s shooting is an asset for him and not a liability. Fox edges out Ball in many areas and perhaps I’m weighing shooting too heavily, but that alone is enough for me to pick Fox. Stats aside, I just trust what I’ve seen more from Fox than Ball. While Ball has fewer flaws than the other guards, Fox has shown more of the tangible and intangible assets needed to run a team. Ball isn’t far behind, but Fox is the one I have faith in. 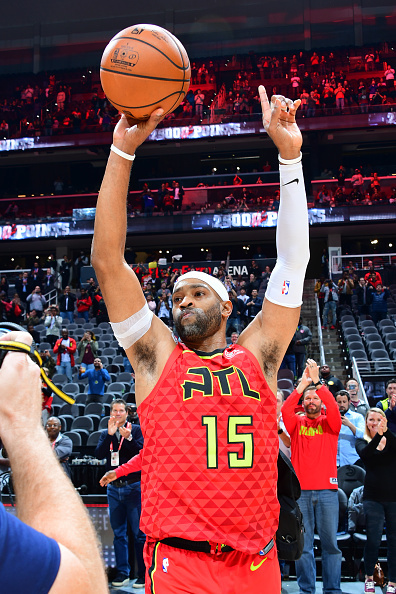 Vince Carter recently returned to Toronto and was given a standing ovation by the crowd. The veteran has thousands of fans still voting for him and he recently broke the NBA record for most NBA teammates. It can be hard to watch players regress and lose their physical abilities as they age out of their prime years, but Carter’s story has winded down on a very positive vibe. Can you think of another NBA player who became more universally loved as they moved further and further away from their prime? Nygaard: I don’t know that I have a better answer than Vince, so I’ll disguise that by taking this in the other direction. The team he ends up on next will have some bearing on this, but I think Kevin Love is going to age really gracefully in terms of popularity. The combination of being the guy who was asked to sacrifice most for the Cavs to reach the mountaintop and then being the only one of their three stars left standing in the rubble afterwards will endear him to most, I think. And as one of the League’s most outspoken proponents of mental health awareness, along with DeMar DeRozan—and I would be remiss not to mention former NBAers Royce White and Larry Sanders—he is positioned well to become a popular figure as he transitions into the second decade of his career. Bowe: Jason Kidd might be a good example, as by the time he won a title in his second-stint with Dallas, people had seemed to forget his troubling past from his first go around with the Mavericks and his failures to win on the biggest stage with the Nets. His coaching stint might have ruined that a bit, but by the time Kidd was nearing the end of his final Dallas run, he was almost universally beloved. Gibson: I can’t. Most either were beloved like Dirk Nowitzki and couldn’t get more popular while others simply saw their skills leave them too quickly to appreciate them without leaning too hard on nostalgia. Vince maybe just played long enough for all those bad feelings in Toronto to fade. It doesn’t hurt that franchise is in the best shape it’s ever been. Time heals all wounds, so maybe that’s why Carter is getting a hero’s send-off in Canada and elsewhere. Goldberg: Usually sports superstars have the Dark Knight rule: You either die a hero or you live long enough to see yourself become the villain. Ewing with Orlando, Shaq with the Cavs or Celtics, seemingly anyone who ended up with the Lakers. Vince Carter is a different story because he embraced being a role player while contemporaries like Tracy McGrady fizzled out. In that mindset you could say Manu Ginobili, who remained a key piece of the Spurs success well after his best years were behind him. He also arguably saw more appreciation for his career during his final seasons. Still, I think the best comparison might be in baseball with Bartolo Colon. Once dominant but now just a lovable player you can say you saw once. With voting for All-Star starters wrapped, who is the one reserve you want to see most in this game? Bowe: Alright, I’m just going to be biased as hell and say Luka Doncic. While Luka is blowing up the fan voting, I don’t think he’ll get enough from the media/players share to get him a starting nod. So it’ll be up to the coaches and even though I’m not sure he really deserves it (especially when you consider his defense and that All-Star nods are so important to players earnings and legacy), it would be fun as hell seeing him throw lobs and slick dimes to the best players in the NBA. 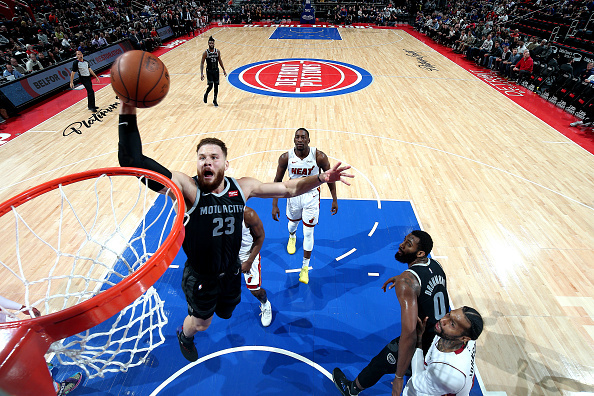 For me, the All-Star Game is all about entertainment and you can’t deny it would be a treat to watch Luka throw all sorts of passes, attempt all sorts of ballsy step-backs in the league’s annual showcase. Gibson: Blake Griffin. For no other reason than outside of the expected starters, he’s one of the few players I don’t actively hold scorn for (some deserved, some not) and actually deserves the honor. Is Pascal Siakam really one of the best players in the East? Or just a good player on a great team? Guys like Jimmy Butler are obviously deserving of a spot, but there issues with him as a teammate that just rubs me the wrong way. I love guys who do dirty work like Al Horford, but I don’t care to see him play in the All-Star Game, either. Nikola Jokić is fine and all, but I just don’t care. But back to Griffin. 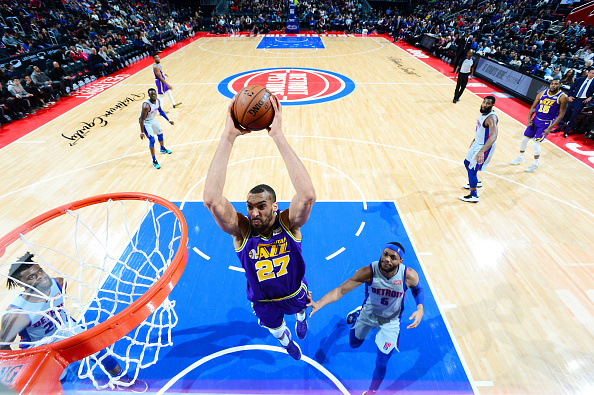 Not only is he playing some of the best basketball of his career—a career-high 26 points per a game with a 54.6 effective field goal percentage—but I just like that he is on a little revenge tour after the Los Angeles Clippers went from selling him on being the face of the franchise to shipping him off to Detroit. He said he didn’t snub Steve Ballmer but he still is a bit snappy when asked about his old coach and the team’s owner. While he’s giving semi-political answers, his action said he is still a bit pissed—so did the 44 points he put down on his former team. Of course, as a Pacers guy I want Victor Oladipo in, but he’s having a sub-par year. He needs to put together a few big games before I start stumping for him. But Blake gets my pick mainly because I don’t care that much about a lot of the non-starters. Goldberg: The West is loaded, but there doesn’t seem to be any reason Rudy Gobert shouldn’t be included. He hasn’t made an All-Star team yet, but he’s the reigning Defensive Player of the Year and in the midst of his best season offensively. While Donovan Mitchell has been on a tear lately, Gobert is more vital to Utah’s success and should be the guy if only one gets in. De’Aaron Fox also deserves strong consideration helping the Kings exceed all expectations, but he’ll probably be squeezed out by some of the bigger names who have been there before. 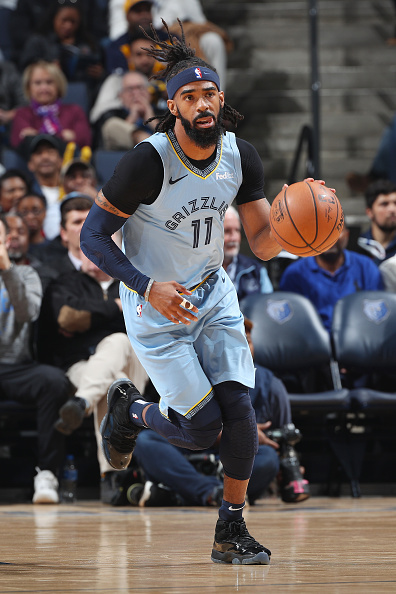 Nygaard: This hasn’t been the best season of his career, his team is in a tailspin that would make Baloo proud and he may finish the season in a different jersey, but man… I just want to see Mike Conley get his due. He’s a guy who but for the grace of being drafted by the Spurs probably could be well on track for the Hall of Fame; instead, we’re 12 years in and still wondering if he’ll ever get an All-Star nod. We did it last year with Goran Dragic, honoring him for a pretty good season after snubbing him years earlier when he genuinely deserved it. We can do the same for Conley. Besides, how many players have a shot at finishing their career with more All-Star appearances than technical fouls?